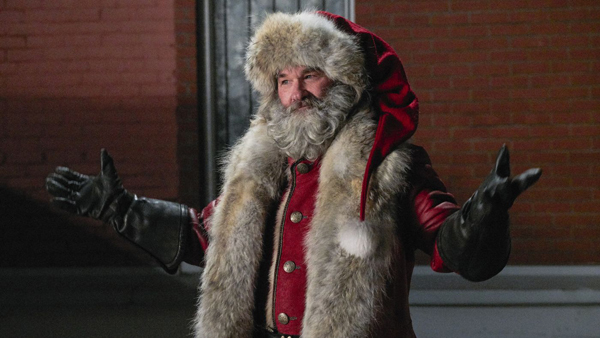 Kurt Russell is Santa Claus in "The Christmas Chronicles," a new Netflix Original movie about two kids who stow away in Santa's sleigh and accidentally ruin everything. Now, they're stuck in Chicago without any of Santa's magic, and have to go through one madcap adventure after another in order to save Christmas and, by extension, the whole world. In his review of "The Christmas Chronicles" at IGN, William Bibbiani calls the film "conventional but likable," but praises the heck out of Kurt Russell's performance, calling him "one of the all-time great movie Santa Clauses."